“Your culture is elitist”, “Your media don’t represent people” are some of the statements that can be often heard in the public domain coming from different public life stakeholders – from ruling populist and new commers politicians to ordinary citizens who feel more and more disappointed about the possibilities of their participation, to hear echo of “their voice” in institutions, political decisions and social life in general. Culture and media are those fields that more often (do not) communicate these messages, voices and standpoints. Culture and media are exactly the fields that should use that space of participation, the space of democratic participation and forming each citizen as an active subject of the social life that should be constantly developed and enhanced. But, is it really so? Culture is defined as a product and placed in a sector of cultural and creative industries while media is disrupted and handed over to the invisible had of market. During that process most of the social groups, nondominant standpoints and policies have lost their voices while populistic ideologies based on the discrimination against various minority groups have readily taken up a space of former public good. Discussions about diversity as well as formal policies based on them in this new context have completely new, urgent dimension. In most narrow sense the meaning of diversity which is most concrete and most relevant for the Croatian context is based on the values of inclusiveness or the absence of any form of discriminatory practices. Diversity as a concept, a policy as well as a set of practices and criteria have long been implemented in corporative sector. It is enough to see “Non-discrimination Policy” of Airbnb‌ or Coca-Cola’s policy of “Diversity and Inclusion”. Liberal diversity management has found the value for its development potential exactly within the resources of diversity, to assimilate all groups and identities within various market target niches or target groups. Cultural and creative industries (CCIs) other than traditional art fields – performing and visual arts, cultural heritage including films and video, television and radio, new media, video games, music, books and prints, architecture and design meaning all cultural segments that use culture as the basic material and which “products” and processes have cultural dimension, are rarely in focus of diversity management partially due to the prejudice of the advancements of culture as such. Of course, this is not always the case. 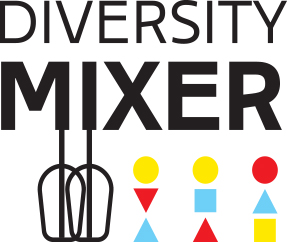 The Diversity Mixer program adopts a sectoral approach to diversity management in cultural and creative industries. The principles of diversity within cultural and creative industries should be far more than just a set of personnel policies and criteria and should be built into the final “product” – the goods they produce or the entertainment they offer. Although it is expected from CCIs that due to its link to creativity and culture to have diversity already integrated, various studies have shown that CCIs has failed this expectation – they often do not represent communities in which they are presenting and addressing. Who works today in the wider sector of cultural and creative industries and what kind of content is produced? Are there any policies and practices that could improve this process of production and content production in a way that it matches the diversity of the societies in which we live? Can class, gender, age, or socially constructed disability be more than anti-discrimination orientations and “check boxes” that employers click on when hiring? Our new project will be dealing with all these issues – Diversity Mixer -Policies and practices in cultural and creative industries – which is focused on sectoral approach to diversity management on diversity in cultural and creative industries. 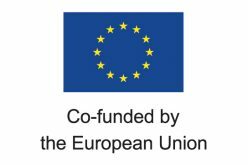 The project is funded by the European Union’s Rights, Equality and Citizenship Programme (2014-2020) and is implemented by RIJEKA 2020 llc and the Academy of Applied Arts – University of Rijeka, in collaboration with the Croatian Business Council for Sustainable Development as associated partner. During the next two years, we will be exploring existing practices of diversity management in the public and private sector of cultural and creative industries at the local and European level and identifying transferable models, an international conference will be organised that will deal with a content diversity, capacity building activities will be carried out for organizations and companies and we will try to influence the process of adopting public policies and incorporating new criteria into public finance systems. The Rijeka 2020 Program – European Capital of Culture takes place under the motto – Port of Diversity. This moto portrays Rijeka as a port city with a rich history of multiculturalism and multiconfessionalism, creating today a tapestry made up of numerous and diverse communities, cultures and sub-cultures connected in the city whose main characteristic is radical openness. With the project of Diversity Mixer, Rijeka 2020 llc together with its strategic partner University of Rijeka, wants this diversity and openness to be further grounded – at the workplaces within the structure of the employees as well as in the content they produce. In the Report on Good Practices in the CCIs sector presented are initial usages of a specific terminology used to describe diversity management within the framework of cultural and creative industries, but equally are gathered examples of good practices at European level aiming to identify possible transfer of positive experiences and their adaptation to specific local context in Croatia, Primorsko-goranska County and Rijeka. Even with the associative potential of the project’s name itself – as the mixer is a kitchen appliance that suggests mixing different edible ingredients – the project is with the content but also formally realized through the program direction Kitchen, Rijeka 2020 – European Capital of Culture. Here you can read The Report on Good Practices in the CCIs sector and in 2019 you can expect us in your workplace to exchange experiences and practices, or in a joint work on diversity understood as a mechanism for reducing structural inequalities in cultural and creative production.